Exodus 14:30-31 Thus the Lord saved Israel that day from the Egyptians; and Israel saw the Egyptians dead on the seashore. Israel saw the great work that the Lord did against the Egyptians. So the people feared the Lord and believed in the Lord and in his servant Moses. A few weeks ago, my youth group joined Southern Ohio’s Diocesan Big Read. 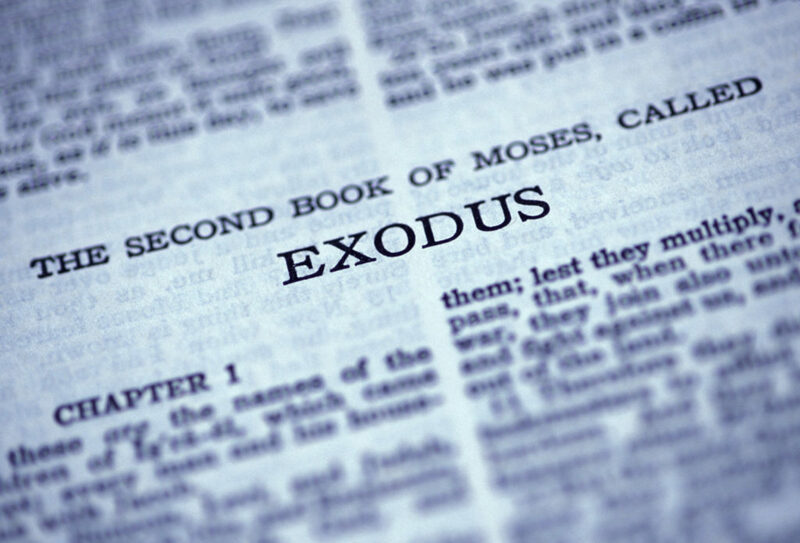 Our whole diocese is reading the Book of Exodus, incorporating the scripture into all aspects of our church lives. Vestry meetings, acolyte rehearsal, finance committee – as much as possible, we’re framing things around what we can learn from the forty chapters of Exodus. From the parting of the Red Sea to the instructions on building the Ark of the Covenant, we’re immersing ourselves into the word of God in community. Telling my group of teens that Bible reading was the foundation of our weekly youth group meetings made me a little nervous. As a newly hired youth group leader, I didn’t want my plan to cause a mutiny. These kids were used to Godly Play, but there’s no desert box or Mount Sinai in the Youth Room; just Bibles, cell phones, and us. I told them about it casually, not wanting to make a big deal out of it. I think they were so excited to have an official youth group, they didn’t mind. And, I brought snacks. Our first week reading Exodus, Moses led the Israelites across the Red Sea. Good news for the Moses and the Israelites; not so good for the Egyptians. The six teens in attendance that day took turns reading the scripture aloud. After they read the last verse, quoted above, we all sat for a minute and let it sink in. After that minute passed, I asked them what they thought about the reading – their general impressions. Slowly they opened up about what surprised them. They had a lot to say. “It seems like God is mean to the Egyptians – there’s a lot of dead people in this story. Why did God have to kill so many people? For the rest of the morning, we talked through their questions and comments. As we did, more questions arose. For many of those questions, I had to tell them I had no answers. For others, we looked up answers online, using our phones. They admitted, not so reluctantly, that they enjoyed reading the scripture, especially the parts that aren’t included in the lectionary. It’s as if the non-lectionary passages are secrets they’ve been let in on. I decided to let that be the hook for future readings. The following Sunday, we began with the Old Testament scripture reading, but instead of reading Exodus 2-15, we read all of chapter 16. This time, we read about manna, omers, and how important Sabbath is to God. We also noticed the repetition of God’s instructions, something we will see much more of as we progress further into Exodus. Once again, we experienced a rich and lively conversation about the Israelites, Moses and Aaron. I asked the kids why they thought the people would complain about their situation, after seeing the death God leveled against the Egyptians. We tried to put ourselves in the Israelites’ shoes, then Moses’. Our conversation the following week about water didn’t disappoint – why did the people complain about food first, when you need water more than food for survival? Don’t the people get how much God must love them? They keep complaining and testing God. I smile inwardly as I watch and listen to them talk about what they read – my children who once moved the people of God through the desert now discuss rotting manna and the sabbath. It’s beautiful to behold. I don’t know what I was worried about. These kids have been taught the stories of Exodus through Godly Play. Now, they’re anxious to go deeper. Maybe they’re even ready to admit it. How is your group – family, Sunday School, or youth group – studying the Bible? 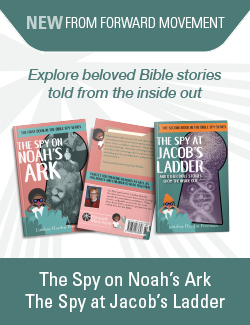 Has anything surprised you about your Bible study? Thanks for sharing this. A great study. Made me go back and reread Exodus. Even seniors need to be reminded these were real people in the hands of a loving God and be willing to know that God loves us the same way and expects the same from us.